I have to post today. I won't get another chance to post on this date for four more years. Yes, it's Leap Day, and this is Leap Year. Happy Birthday to Dennis Bolin, whom I think would be about 13 now. (Something like that, as I think he was born the year before me?) Anyway, I met Dennis in the 2-room Christian school I attended from first to fifth grade. He was in the grade ahead of me but from Day 1, he declared I was his girlfriend. He was outgoing and was from a family of six boys (I think that's right) and one Finally a Girl. All of the Bolin kids had "D" names. He broke his arm once and wore a cast for awhile, which I thought was cool. Also, when our class went anywhere, we had to have a partner--Dennis always grabbed my hand and we tore for the front of the line! (We were always up front.) He was my best friend, outside of Debbie Foss and my cousin Mary Beth. 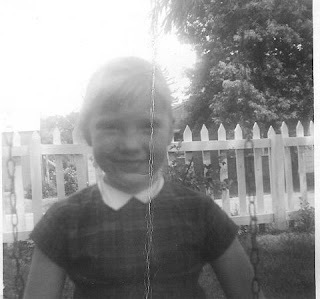 So the smiling little girl in first grade above, who lived at 1004 West 11th Street, was mightily impressed by a Leap Year Baby. Even though I haven't seen him in 40 years, I still remember. I have no idea what happened to him and all those brothers and his sister. By the way, tradition has it that if you are a woman, this is the day you can ask a man to marry you. If you're not married, you still have a few hours. If you are already married, you can ask your husband to take you out to dinner with no penalty of whining. "Here's my strategy on the Cold War: We win, they lose. 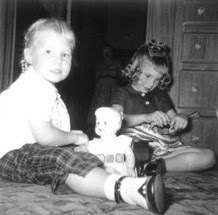 This little girl (on the right) loved books and dolls when she was just a kid. (The other girl is her sister.) She grew up and...she still loves books and dolls. In fact she has built her life and careers out of both. At the end of next week, her story is going up on my blog, When I Was Just a Kid and here's the story--she is offering some wonderful things to those who leave a specific type of comment. First prize will be a complete set of her middle grade novels(ages 8-12) of real girls who made a difference. Second prize will be a complete set of her teen novels. AND one more thing--she will offer one more prize if we receive 20 comments meeting the criteria she specifies for the comments. All comments will be placed in a drawing and one winner will receive a prize that will make you the envy of all. Be thinking right now of a Christian girl who either made a difference as a child, or who grew up to make a difference as an adult in faith and life. As the time draws near, I'll give more details. Be sure to get everyone you know to come and leave a comment. Stay tuned! You won't want to miss this special feature. My youngest of the four sons is having a birthday today. He went off to school feeling quite ill this a.m. His psychology teacher challenged them to fast for 24 hours (for extra credit points) and journal about it. He was quite grouchy this morning and having physical illness. And that is just for a 24-hour period. He's 6-foot tall and barely weighs 120 pounds, and he's growing. He took a lunch to break his fast at 1:30 this afternoon. When he was born, his Grandfather Miller had died on the 19th. We were preparing for a funeral when Max fought his way into the world. We had sat around the kitchen table on the 20th, while Mr. Hunt, the funeral director laid out choices and everyone, including my three oldest boys, stated their memories and what they wanted to see in the ceremony. It was a hard day. I wasn't feeling well, but my body was in grief mode, so that was to be expected. Then, the next day around noon, Max Christian was born. My oldest son made a banner for his Grandmother's house announcing his name and the details. It was bittersweet. At the funeral home, no one liked Max's name so someone got the bright idea to pass around a paper to give us suggestions. That paper was lost in the hospital (I wish I still had it.) I just remember a sentimental cousin suggesting the name Eugene (my husband's father's name) and Uncle John suggesting "John." John's sister, my mother-in-law, threatened me saying I couldn't name any of my boys John because he would be mean. (LOL) But their suggestions fell on deaf ears, and while my husband was busy at home with details, I had already filled out the birth certificate with our choice that was made months before. Max had a bit of a rough start and we weren't sure if he would make it, but he is a fighter and has been tough ever since. I don't even know how to describe the intense feelings of love I have about my sons, and Max is no exception to that.Despite my own medical problems right then, and the grieving, there is something about a baby that still will bring a smile to my face. But today, once again, our family is in grief mode. Max has a fascination with the Grandfather he never got to meet, and who had such a profound influence on the rest of us. I don't want him to always associate his birthday with funerals and talking about death, but it is a part of life. We try to be honest and one of our family things is to sit around the table and talk about even the rawest details. There are no euphemisms, or punches pulled. We have a pragmatic and humorous look at life with hope in the next life laced in. Tonight we will celebrate Max with lots of food(at least this is what Max is looking forward to) and talk and laughter (as long as the fasting didn't do Max in today. He has been violently ill on his birthday! That wasn't nice.) All of these things have a way of becoming part of the fabric and legends of our family, and the stories we tell. But his birthday is embroidered with death. On the day that my father-in-law died (from heart disease all those years before) my Uncle Alton Lee(my Dad's brother) died. We are greatly sad today about this. I have both sad and funny stories about him and those stories have already been discussed. I suppose more will surface in the days to come. I feel the worst for my Grandmother who has now survived over all of her siblings, two husbands, and now two sons. My Dad was her oldest son who died some years before, and Alton Lee was her youngest son. He was only 15 years older than me, and like an older brother to me. We will miss him and are sorry he felt such a burden in his life. God bless Max, and God be with our family in the days to come. 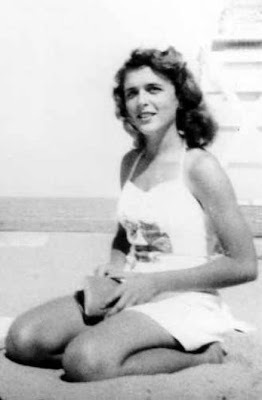 First, those of you who finally guessed Barbara Bush on the photo in the previous blog post are correct. Wasn't she a babe? She still is a stately woman, tall and regal, and one whom I admire. Today I'm asking you to participate in a reading exercise. Whatever is by your computer (or that you are reading right now) is what I am interested in. I am going to tag a few people who also write blogs, but if you have a blog and want to play, you are welcome to steal it. And if you don't have a blog or don't have a blog where you play memes, play in the comments. I told you I love to know what people are reading! LeAnne Martin of the Christians in the Arts blog tagged me with this book meme. If you haven't checked LeAnne's two blogs and her web site out, you must. Simply beautiful and inspiring. LeAnne was reading It was Good: Making Art to the Glory of God (Square Halo Books). She says,"It’s a collection of essays edited by Ned Bustard, who I featured in December. Page 123 falls in the middle of a piece titled “Why We Need Artists” by Tim Keller, founding pastor of Manhattan’s Redeemer Presbyterian Church, known for its arts program." Crystal again: I usually keep several books going at once. The first book I have here is a historical romance just released this month called The Rogue's Redemption by Ruth Axtell Morren (Steeple Hill.) Ruth lives in the Netherlands with her husband and three children and she has won many awards for her writing. She is nearly as interesting as the historical romances she pens. He was tall and dark with eyes as blue as cobalt. In a London ballroom Miss Hester Leighton saw a man who interested her more than anyone she'd met since coming to town. A woman of deep faith, Hester knew she should not keep company wiht Major Gerrit Hawkes, a jaded, penniless soldier haunted by nightmares of war. But their connection would not be denied. Hester was the ony woman who'd ever made Gerrit feel truly worthy of love, and he would not lose her. Separated from her by her father--and an ocean--Gerrit must decide whether he will risk his life and his soul to earn a home in Hester's arms forever. She stood with her back toward him, a bow poised in her hands, her head tilted to one side as she took aim. Beside her stood a bevy of young men, all intent on the target ahead. The arrow flew straight and true and landed just at the edge of the bull's eye circle. "Bravo, Miss Leighton! Well done!" the gentlemen congratulated her. The second book I'm reading through (that is right by my computer) is a writing craft book published by W.W. Norton called The Making of a Story by Alice LaPlante. It's a guide to creative writing. In the section on page 123 she is discussing metaphors and the use and abuse of symbols. It must be part of the story (or poem) yet mean more than the story (or poem.) It can be a shared symbol, something common to our culture, language, religion, nationality; or it can be created within the work of fiction or poetry. It's no accident that a figure of speech is, "X has become a symbol," or "Y is becoming a symbol." Once there were three Cromwell girls. But their father abducted the baby...and neither was seen again. The has haunted sisters Kate and Jo ever since, though they can't bear to talk about it. And then life's ups and downs send the Cromwell women back to tiny Santa Sofia, Florida. To the cottage containing their worst--and best--memories. Where Kate will reconnect with the magnetic single father she'd run from years ago. Where Jo will fall for the handsome minister of the Traveler's Wayside Chapel. And where the cottage caretaker, a familiar young woman named Moxie Weatherby, will get the surprise of her life. I figure I'm the boss of this blog and if I want to put a third book, I can. "In Santa Sofia. In the house across the street. This is where we need help, Jo." "But this place is only temporary...I mean, for us." "Everything but this place has been temporary for us, Jo." Now comes the part where I tag five bloggers. Here are people who might play along. Be sure to check the links. 1. Nancy J. Ring at Anchors, Signposts and Wanderings. Nancy is a Chicago gal who posts on Forks, bends, detours, scenery, and fellow travelers I've discovered while Exploring the Path Home. She currently is working on her 101 Goals!! Wow. I'm impressed. 2. Delia at Gatorskunkz and Mudcats. Delia is a Christian, a wife, a mother, a wannabe writer, an avid reader, and finder of all things lost, and writer of one of my favorite blogs. 3. Cara Putnam at Books, the Law and Life. Cara is a wife, an attorney, law professor, mom to three (one still in utero until about May,) and author. Her first book, Canteen Dreams, released in October 2007 from Barbour's Heartsong Presents line followed by Sandhill Dreams in May 2008 and Captive Dreams in September 2008. Love Inspired Suspense will publish her first romantic suspense Deadly Exposure in May 2008. 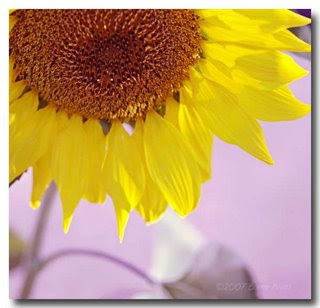 Be sure to check out Cara's Musings and web site. 4. Sabrina Fox at Hijinks from the Heartland. Sabrina is a wife and mother who also works outside the home. She does freelance journalism and is a first reader for a major New York publisher. She's finished one book, Prescription for Murder, and started a second book, Rock Bottom, which is a sarcastic, deep-lit type of story that is a 2007 ACFW Genesis Chick-Lit finalist. 5. Camy Tang at Camy's Loft. Camy is the self-proclaimed loud Asian chick who has written some of my favorite books (I have the first two.) Her blog is something I'm addicted to as she posts photos of her hunky Captain Caffeine, her dog Snickers, the food they prepare, and her knitting. (Maybe I need to get a life? Well, she is just interesting!) Oh, and she has a lot to say about writing, how to write and books. Labels: So what are you reading? Who is my Mystery Reader of the Day? You may have noticed that I love digging up old photos--my own, yours, and whoever else's I can find. Can you tell me who this is? She is reading, which makes her one of my tribe, but she is very famous. She is famous not so much for what she has done in the world of her own, but for the people she has influenced in many, many ways. She has been an intimate part of the lives of some of the most powerful men in history, and that makes her powerful. (Go ahead; edit that sentence. LOL. I know, I know, too many prepositional phrases....) A reading woman is a woman of great influence in the world. While you mull on that, it's time to tell the whole story about President Ronald Reagan and how he influenced one author's career. Maybe we would've heard about that author eventually, but I do believe that there are no coincidences. I believe there is a plan in every person's life and it unfolds as we are obedient to our calling. Who knows how being faithful to your dreams will influence others? You have to go back to the February 7th post and then read Carrie's guess. Carrie is a super smart woman and a reader (like the woman above) so while she may not have heard this story, she put together my sparse clues and is very sharp! The author that President Reagan skyrocketed into fame was Tom Clancy and the book was The Hunt for Red October. The actor who played Jack Ryan was Alec Baldwin. Sean Connery played Captain Marko Ramius of the Russian sub. I feel as if I should send Wild Blue Yonder Girl a prize, but knowing her, she has enough to read. I have a meme that I am going to post soon about what you are reading, so be sure to put a really good book that you are reading close to your computer. I will tag some of my blogger friends, but I also want those of you who don't blog to post yours on this blog, either on the comments or you can send them to me. Stay tuned! Post your guesses below on my Mystery Reader of the Day! Mary DeMuth knows what it is like to be rejected. She also has a lot of experience with being published. She has a new blog up to help writers find their way through the publisher jungle and today she put my tips up on it. It's about attending a conference, particularly the part where you sit at the conference tables at meal times with agents and editors. If you are needing guidance for getting published, this is a blog I highly recommend. Be sure to check out her web site and also her other blog Relevant Blog. Also, if you are interested in her life when she was a child and her books, do check out my interview with Mary When I Was Just a Kid. Mary is generous with her knowledge and spot on about this business. Don't miss her blog. This quiz is to determine your "color" or your personality. What color are you? You feel most at home in a world of ideas. You're curious and logical - and enjoy a good intellectual challenge. You're super cool, calm, and collected. Very little tries your patience. Your only fear? People not realizing how smart and able you are! So, do you know who this is? Did you guess Robert DeNiro? I have no idea what he is reading. I would like to know what kinds of material someone like him reads, wouldn't you? I like even my friends sharing with me what they read. One friend sent me a copy yesterday of The Shack by William P. Young and I'm looking forward to reading this grassroots, much-talked-about book. It interests me that he self-published it and that Eugene Peterson endorses it on the cover. Wynona Judd endorses it on the back cover, along with Michael W. Smith. Have any of you read it? Sometimes a friend has absolutely loved a book--and I can barely turn the pages. They weigh ten tons! Sometimes you have to "get into" the book before you fall for it. That has happened to me before. Those are the ones I wished that I could have worked on it before it was published. Now, have you heard this story? When President Reagan was convalescing in the hospital after being shot, he came to the balcony to talk to reporters to let the nation know he was doing ok and for a daily report. One day, he put his thumb in his book he was reading, and walked out to the waiting crowd. Of course, these writerly types are wondering, "What are you reading, Mr. President?" He went into a winning description and how much he liked it. 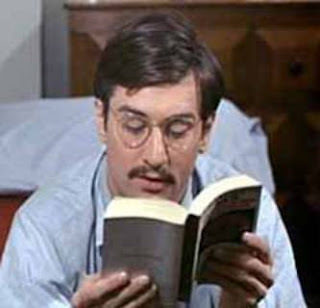 Do you know what he was reading? 1. It was first published by a small military press and less than 5000 copies were made. 3. It was made into a movie. Now, question 2, who played the main character of that book in the movie? I have this natural nibbiness that has sometimes gotten me into trouble, but has always been interesting. I like peeks into people's real lives, their interests, what they eat for breakfast. I suppose that is why I love doing the When I Was Just a Kid blog interviews. I like knowing what you behind the curtain, what your dog looks like, what you read, what dreams you had growing up. This photo is of someone famous. Can you make out what he is reading? Do you know who he is? It's almost that time of year when they show the movie, The Wizard of Oz. I didn't realize how much I use that movie to evaluate all sorts of things. I recently got a pin that has the ruby slippers with a wand, and it's so true of me--I think there is no place like home, but only after being swept away from the home I loved. Maybe someday I'll discover that all I have to do is tap my heels together and close my eyes and I'm there. But of all the characters in the Wizard of Oz, which one describes you the most? I'll tell you mine--I'm Toto! I go and look behind the curtain and see that the Great Wizard is just a nice old man, who is brilliant and a bit absentminded. I am terrified of the Wicked Witch next door (oops, yes, I am) and of her flying monkeys. (I used to close my eyes on that part.) I am loyal to Dorothy, but am feisty and brave if I need to be. I am loved and protected. Tell me if you know the reader pictured above. And then tell me which Wizard of Oz character you most resemble. I've had color on the brain. I've thought about colors best for me to wear and colors to use in my house. When it is winter and day after day is gray, I flood my eyes with magazines, and anything bursting in color. Well, did you know you have a brain color? Me, neither. This was kind of fun. Maybe you don't know me, but this is sooo me. My whole life I have been pretending in my mind about being a variety of people, in all kinds of roles. From the time I was in first grade, I was cast in plays and acted. I flirted with the idea of being an actor! I was even voted best actress of my high school class. Did I mention I'm from the same hometown as James Dean? I was a total failure in my goals this month for my own writing. My accountability partner, Judy, checked up on me, though I've been so busy, I haven't even checked in on her! She is truly the best. I had so many things happen this month, that I wanted to run away a couple times. Life is like that sometimes and the only escape is to dream. Yesterday I was quite down on myself, and my usual optimistic outlook was buried under layers of dullness and dark and gray. The Groundhog saw his shadow--six more weeks of winter! So, with that on my plate, I decided to start thinking colorfully, and get going on writing that fiction again. This time I'm dreaming I'm the characters--and maybe I'll just get it done. Come back and let me know what color your brain was, ok? This snow bank by our driveway back at our other house (a few years ago) measured over five feet. Our house was about a quarter mile off the road and we parked our truck at the end of the driveway so we could get out. My husband's cousin came over with a backhoe to dig out our drive. It was unbelievable. And no, we don't live in Minnesota, North Dakota or Alaska--just Indiana. These boys are all about 6-foot or taller now. 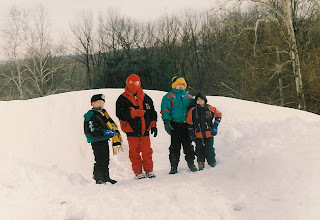 They don't bother bundling up like I made them back then. One of them still loves the snow. He was born in February so the weather in his birth month suits him. He was disappointed that we didn't get that much snow. Tomorrow is one of my favorite days--Groundhog Day! That is one of my favorite movies (Groundhog Day. It's the day we see if the Groundhog sees his shadow. In the meantime, I might could actually get something done today--or not.